Quartz Watch with Date. 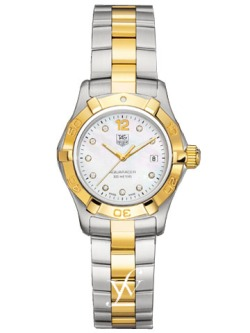 White Mother-of-pearl dial set with 10 Top Wesselton diamonds. Hand-applied gold plated (18K 2N) curved numeral at 12 o’clock and polished-finished, gold plated (18K 2N) hands with luminescent markers. Date window at 3 o’clock.